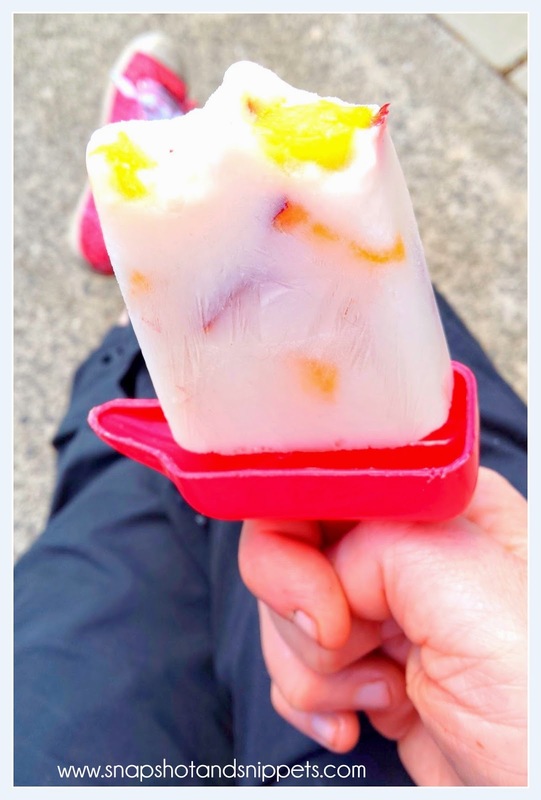 What else could you do on a gorgeous sunny day like today but make creamy, fruit-filled delicious Homemade Yoghurt Ice Pop. Are you struggling to feed your family on really hot days? Mine just don’t seem hungry so plenty of salad and fresh fruit and ice-pops of course. What do you serve when it is hot? Also, are you getting the cry of ” I’m Bored” yet? if you are, check out my handy Summer Activity Guide and if you are suffering from Summer insect bites check out my review of Zap it Here . Those posts should help you Survive Summer !! 1. Pour the yoghurt drink and the Greek yoghurt into a bowl and whisk together. 3. Pour into your mold and place in the freezer for a couple of hours or over-night until firm. 4. Enjoy in the sunshine. These are a great way to get fruit and yoghurt into kids on a hot day and a healthier treat thank ice-cream but just as tasty. 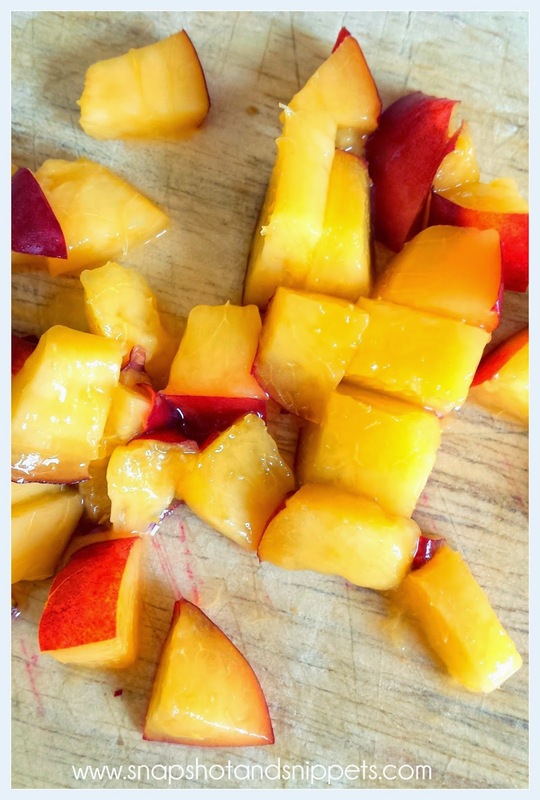 Why Not – Sign up for my Snapshot and Snippets newsletter for your Free recipe Ebook and exclusive recipes and Printables ? Now those look d-lish! So glad I found your blog today. I found it from the click and chat link up. Eh, I'm like 4 days late on the link up but better late than never right? Anyways, I'm excited to be following via Bloglovin! 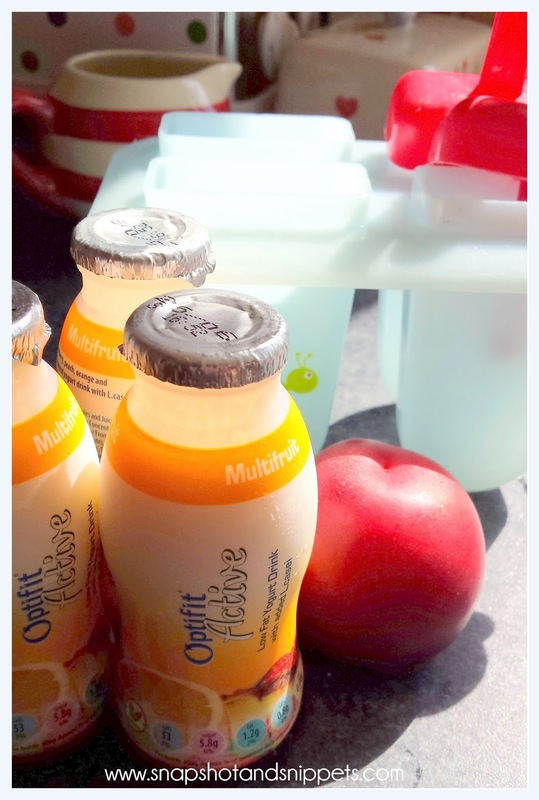 These look so yummy and refreshing for these hot summer days! My children will love them. Pinned them! Thanks for sharing. Oh Yummy! I like you how incorporated fresh fruit in your pops as well. I'm a sucker for fresh fruit. Thanks for linking up with Creative Spark! I love this! So simple and so good! I never would have thought of doing something like this! Thanks for linking them up with us at Foodie Fridays! I love this idea! And so will my kids! Pinning now….yum! Hi there! 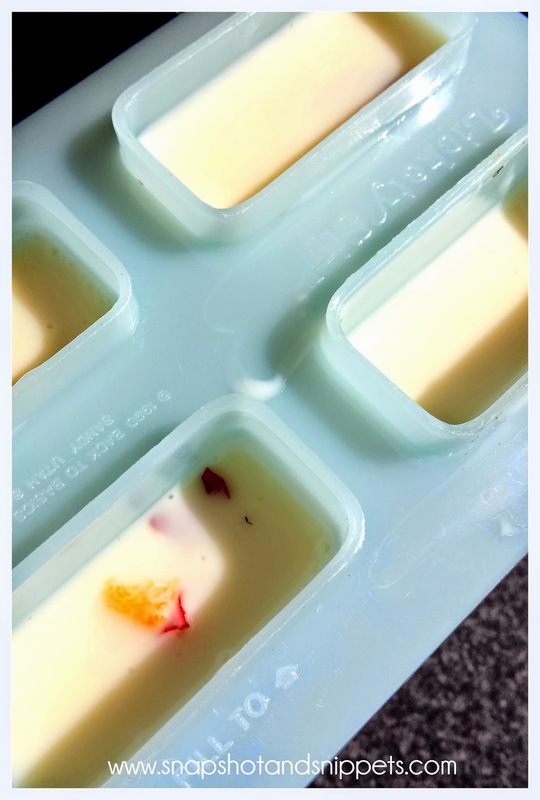 Stopping in to let you know I will be featuring your Yogurt Popsicles this Friday in my P3 Party Board Summertime Treats Roundup post! Congrats and yum! Thank you so much for pining to my party board! the perfect light summer treat.. love it, looks delicious!